I know there are lots of Christians here who are anarchist. There's a blog called FLAGLESS which has a lot of good post on the subject. I was introduced to it through this article on Liberty Web Alliance. If you use Bitcoins, you should check out this site for earning Bitcoins - when you click my link and sign up I get a referral bonus! Sweetness. I'll definitely go check out it. Apparently there are quite a few Christian anarchists, you just would never know it by going to church. Also check out this new site: http://www.christiananarchist.org/. David Giessel turned me onto that one via his most recent blog post at patriotslament.blogspot.com. I lost religion at nearly the same time I lost the state. Anyone here care to share how they personally balance the concept of Anarchism (no-rulers) with the concept of Christianity (Christ is King (of Kings))? I really don't mean to start any wars, I'm just curious - perhaps I have my definitions wrong. I think the key word you're missing is "human." No human has a higher claim to my life than I do, in that sense I own myself. God is not human, he is the creator of me, and therefore he owns me. I've heard lots of people rejecting religion when they reject the state, and I think this can be a result of carrying what applies to man to God, which doesn't really carry over..
And I don't see how anarchism is really all that relevant to whether or not God exist, and if so if He should be rejected along with the state. Anarchism is a philosophy which deals with man to man relations. From what I understand, anarchists only reject coercive rulers. I believe that we have free will; therefore, a relationship with God is voluntary which makes it consistent with my concept of anarchy. The most common objection I hear to this idea is usually something involving hell which is a question I enjoy addressing. Let me know if you wish for any follow-up. I would enjoy a follow up. No it doesn't make sense to me. Isn't there a Christian concept that 'every knee shall bow and every tongue confess ...', doesn't that sound coercive? Aren't there scriptures in the O.T. that commands the believers to kill the unbelievers? Didn't the O.T. God kill everyone (save Noah's family)? Aren't their many other examples (both personally and commands to others) of a coercive God in the Bible? 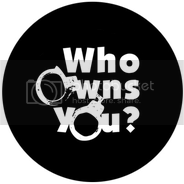 If there is a God, and he created the world and all that is in it, would he not own us? Would he not be the very basis of morality? The concept of a voluntary relationship with god is an interesting point to ponder. Suppose "heaven" is a completely different universe or however you wish to conceptualize it. Now we have 2 cases. Either a) this universe is parallel, and there can be no interaction between it and our own, or b) heaven (and potentially god) intersect our own at some point. If you assume "a", then it is not possible for anything that happens in heaven (including god's actions) to impact us. In this case, it doesn't make sense to think of having voluntary or coercive relationships, because there is no possible connection between the two spheres, and as a result, no possible way to make a claim that this other sphere is real, since no information can be transmitted into our world. In other words, the claim that god exists has no meaning. If you assume "b", ff42's objections are perfectly reasonable. If god ordered all these murders, then his relationship with humans is not voluntary and the NAP is regularly violated. The first born children in Egypt who were killed because they didn't have lamb blood on their homes certainly hadn't violated anyone's rights. God commits collective punishment in the form of mass murder. Recall what the assumption "b" meant: there is some intersection between heaven and earth. If so, then this relationship must be observable, even if not to the naked senses. If energy and forces can be exchanged, then there is a way of studying it, and ultimately understanding the relationship. If you deny this result, then you oppose the field of thermodynamics. In this sense, "god" could be studied. Case 1: The claim that god is real is baseless, and moral considerations are unimportant. Case 2: God's world (heaven) physically intersects our own, meaning we can study him and his relationships with humans, and accept that he is a mass murderer and violator of NAP. Reflecting on this discussion I feel foolish for writing such an in-depth analysis. To compound my error of engaging in a rational monologue, I will pursue yet another case based demonstration. 1) You are a rational entity and my above discussion is painfully obvious, and you got nothing out of it. 2) You are irrational and don't care about the points I raised, in which case you got nothing out of it. This will address the topic of unbelievers (of Christianity) and hell. Note: this is not necessarily a mainstream opinion. The common objection I hear is that God sends the unbelievers to hell for eternity which represents coercion because hell is an undesirable place to be. It's seen as a "play by my rules, or else" condition. It seems that organized religion in general has gotten overzealous in their attempts to convert others and has presented a flawed concept of hell. Hell is commonly seen as a place of punishment, pain, suffering, etc. Let's start by re-defining hell. Hell is simply the place in which God is not present. That's really all it is. There are only two groups where the Bible explicitly states that they will go to "punishment hell" (a different level of hell). Those are people who distort the Bible in an effort to mislead people away from Christianity and demons. I'll take a moment to address some common objections, skip this if you accept the preceding premise. Some people object to this by saying that the Bible describes hell as a place of gnashing of teeth and fire, and therefore is indeed a place of punishment. I believe the understanding of those references is flawed. Gnashing of teeth was simply a cultural reference describing someone who had realized they lost something and felt remorse. If we were to apply a current reference that's similar, like people in hell would cry their eyes out because they were sad, we wouldn't take that literally. Similarly, fire in the Bible usually stood as a reference to judgement just like the western civilization gavel would. People won't be on fire in hell. To combat the knee-jerk reaction that being sent to hell is a bad thing, consider the alternative with this example. Imagine a person that you can't stand to be around. Now imagine that you're forced to spend an eternity in his presence. That would probably be uncomfortable for you. So, for some people it could be that an eternity in heaven would be the undesirable condition and forcing them to live there would be immoral; hell would then be the desirable option if they hated God and everything for which he stands. I believe that the existence of hell ultimately represents our free will in whether or not to seek a relationship with God. In the Bible, God states that he would prefer that everyone go to heaven, but he doesn't force them to go there and, with the creation of hell, provides the ultimate opt out program for those who choose not to value God, Christianity, or its tenants. My first post here, so greetings to everyone. Firstly, IMO, a god that’s a creator of humans, in itself, isn’t at odds with anarchy. But a god that can’t communicate directly to his creation, but instead has to use links of self appointed human messengers to ostensibly communicate with all of humanity, as the Biblical god largely does, isn’t the creator of humans. Secondly, because the Biblical god is the highest moral arbiter on everything, "his" self appointed spokespersons and interpreters can justify aggressions. And this has always been easy for them to do, and will always be, since the god of the OT was a great advocate of aggression in numerous significant instances, and because the NT contains many verses supportive of aggression as well. Lastly, the doctrine the “fall of man” is collectivist, and it is central to Christianity. One common religiously conservative take on hell, is that "the doors are locked from the inside".